The Medical Camp are one of the strategies adopted by weather it is governmental & non- Governmental organization. We are organizing the health & medicine camp for those people who are not eligible for take care of their health and poor children who not have any treatment which are mandatory for them like blood test regular health check up etc. 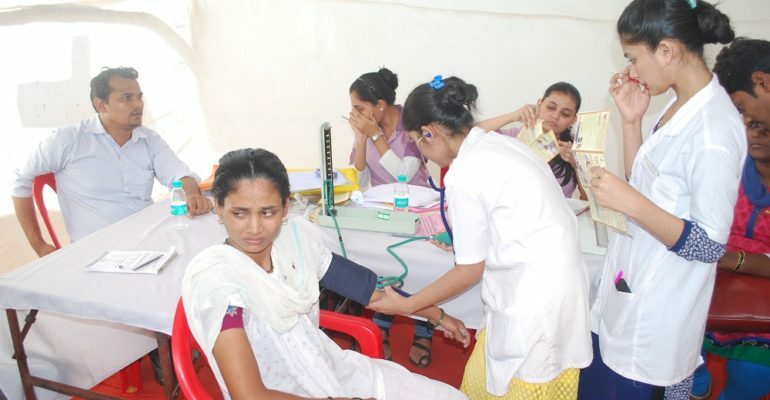 Our main goal of organizing the medical camp is …..
To provide the health awareness. To spread awareness about the new different diseases. To educating people about better health. And Aware about minor medical treatment or surgical treatment. And Main Purpose is to prevent the better health care services. The most important cardio care awareness. Our main purpose of organizing health care awareness program is…. To spreading the health education regarding diet, which no body are doing now a days we spreading the importants of diet, we are creating the awareness about the proper diet this include the 4 pillars of health. Exercise:- Exercise helps in reaching the blood to each cell. It improve efficiency and working of heart. No more oxygen is available in body. Rise in WBC & RBC. Attitude:- We need to keep positive attitude and its leads to happiness & success. Rest:- We need to take 6 to 8 hrs sleep, because body repairs itself while you sleep. Nutrition:- There are many disadvantages of lack of nutrition like feel hungry when high energy good. We can say food supplement also. Then out of 100% only 5% people are healthy, 15% people are sick and 80% are sub healthy. And life expectancy 63/65 in spite of our biological age being 115 years. Main Question is why we need to do free medical camp because….. The 50% people with heart problems are below 45 year age. 60% of world cardiac patient will be Indian by 2015. India is country with largest no. of Diabetic. In India there are about 13 cr. people suffering from cardiovascular disease. Every year over 1.5 million people are suffer from bone fracture due to seek bones. Cancer due to smoking, tobacco, chewing. Obesity is on increases, it’s the biggest killer of century. To provide about the above awareness we are organizing free Medical & Medicine Camp & health awareness Programs. Health is wealth, wish you wealth.